The stories found within the walls of the world’s only Harley-Davidson Museum range far beyond the successes and trials of the world’s most iconic motorcycle brand. The history of Harley is woven into the history of America. The freedom and ingenuity that have become hallmarks of America are embodied in the motorcycles that bear the Harley-Davidson name and in the tales of those who build and ride them. A walk through the Museum is a walk through the history of the United States. It’s an experience that will stay with you for a lifetime. 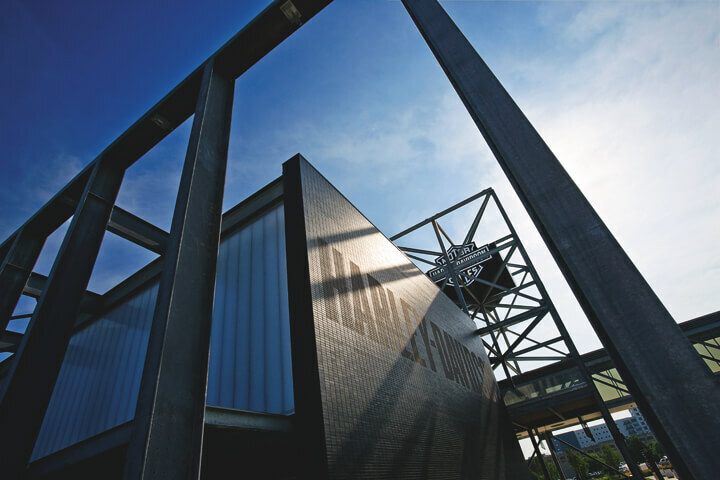 With a 20-acre, park-like campus, an unrivaled collection of Harley-Davidson® motorcycles and memorabilia, and a calendar full of activities, parties and Bike Nights, the Harley-Davidson Museum has become a top tourist draw in Milwaukee. It’s a destination that also attracts corporate events and meetings thanks to a unique background offered nowhere else. Fans from the world over descend on the Motorcycle Mecca at 6th & Canal to immerse themselves in a global brand with more than a century’s worth of heart-thumping adventure. And no visit to the Harley-Davidson Museum is complete without a stop at MOTOR® Bar & Restaurant for a taste from our menu of American classics and to The Shop for unique Harley-Davidson® apparel and archival reproductions found nowhere else. Plan your visit today at H-DMuseum.com.